Sinter Bonding & Sinter Brazing: 6 Ways to Tell Which One You Need. You may not realize it, but sinter bonding and sinter brazing are two distinct processes in powder metallurgy. Both are great techniques for optimizing your project, but there are quirks and unique qualities in each. Let’s start with a basic definition of sintering. Sintering is a post-compaction process that uses high-temperature heat-treatment to fuse the powder together. This forms a solid mass - but not one so hot that it melts. This heat treatment grants your metal strength and hardiness. Now let’s get more specific. Sinter bonding is the process in which you place two separately compacted components together that bond during sintering. This causes the two pieces to join together. Sinter bonding can create a composite structure with unique materials on both the outer diameter and interior diameter of the assembly that can enhance properties like conductivity and others we’ll detail below. Sinter brazing is a process that bonds two components with the help of a third, filler material. A successfully brazed joint relies heavily on the interactions between the braze alloy, adjoining surfaces, and sintering conditions. With sinter bonding you can make a two-piece assembly that couldn’t normally be made with a single compaction step. The outer part actually shrinks and the inner part grows, promoting the sintering bonding process as well as potential shrink fit of the two components. In sinter brazing, you use a compound that melts and diffuses into two separate pieces to form a single assembly. It actually enables you to skip a step in the powder metallurgy process (i.e. adhesive bonding or post-sintering welding) because you’re simultaneously sintering and bonding. You can use a slug or paste uniquely designed for powder metal to accomplish this brazing. But there’s still no sintering together of the two components -- cool! No matter which process you choose, you have a great opportunity to consolidate your design. Both processes allow for assemblies with far fewer components. 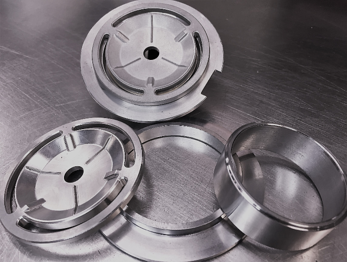 You can realize great economic advantages with both processes, especially in comparison with costly and time-consuming process of machining wrought or cast parts to achieve the same result. During sinter bonding, you make two components and slip them together. Yes, there’s some labor involved, but you don’t have to pay for the compound additive that sits inside. Both operations take the unique shape-making capability of powder metallurgy to a new level. The technique you need is dependent on the desired geometry of the component. If your goal is to stack two parts on top of each other or attach them to a secondary component, sinter brazing is the most appropriate technique. If you have two parts that have a central axis and you want to add a second round part, bonding is the better approach. 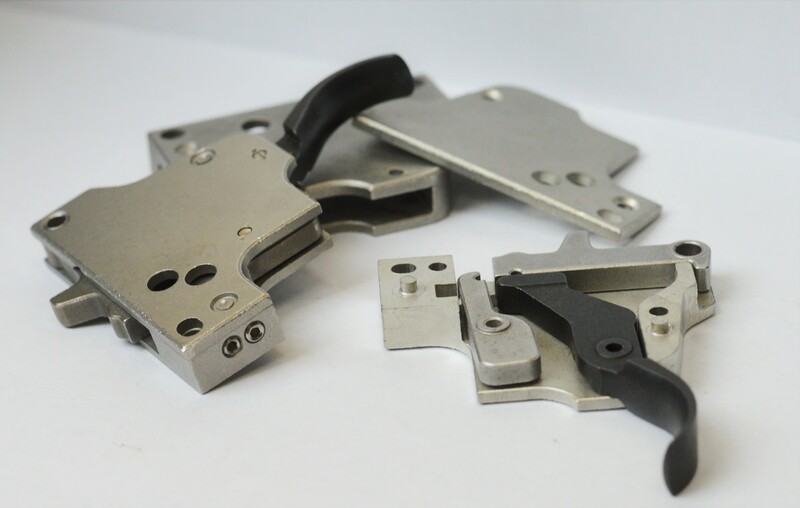 For example, you could have an outer stainless part that is durable against corrosive environments, and next to that you could have a part made from a different material that’s higher strength or very magnetic. So, one part is shielding the other while the overall component gets the great properties of both materials. One of the main benefits of both sinter bonding and sinter brazing is that they increase the strength of your assembled component. With sinter brazing, the brace joint is stronger in many cases than the base metal! You will, however, need design features on the component that allow you to insert the brace. It’s important to maintain a well defined gap between the two parts to allow the braze to penetrate and bond the two components. This step is important, though not quite as crucial on the sinter bonding side. You can use the same families of materials in both processes. Note that with sinter bonding, you have to design your component in a way that accommodates for the appropriate level of shrinkage. Again, if you can produce a part this way, no additional fillers are necessary -- just your outer and inner component materials. With sinter brazing, the filler metal you use can influence the quality and behavior of the assembly. 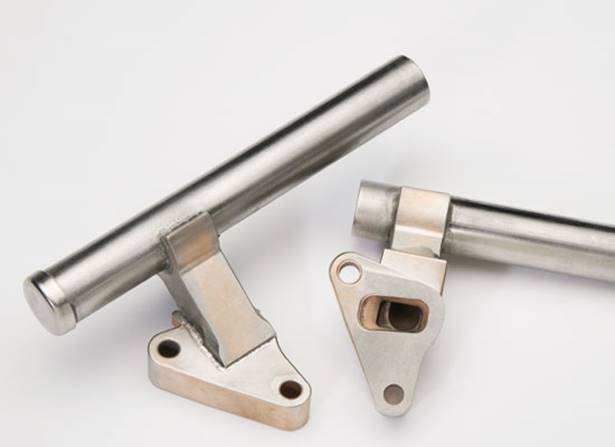 There are many applications for both sinter brazed and sinter bonded assemblies. For example, in the auto industry, engineers use sinter brazing to make transmission carriers. Gear assemblies also benefit from sinter brazing’s unique qualities. There are other applications for both of these techniques. If you want to know whether your project is a fit for either, just ask us! Which Should You Use? Both! The strengths of sinter bonding and brazing are equal. Both are worthwhile considerations thanks their cost savings, design possibilities, added strength, and more. Consult with a powder metallurgy expert to get the most out of each operation!